This is a sponsored post that contains affiliate links. I received product to facilitate this review. No other compensation was received. We've had some big news at our house with Frances finally getting her own room right before school started. The transition has been great for her and she loves having her own space. It's been good for the boys too, since now they have a bit more room for themselves. I had some big plans for rearranging people and furniture, but as you may know Ken dislocated his shoulder at the end of August and we're still dealing with that. Basically, that means that he's not been able to help me when it comes to moving any heavy items. There's a headboard that needs to come out of Frances' room and a desk that needs to go in it. A dresser in the basement that needs to be moved upstairs for Benjamin (and hopefully painted), and a dresser that needs to be tossed. Unfortunately, those plans have been put on hold. But life goes on and things still need to be functional for us. Benjamin still needs a dresser and he is currently using the one that Frances left behind. It's got a broken drawer and it's too tall for him to reach into the top two drawers, but it's what we're working with for now. Ben is getting older and actually taking a bit more responsibility for himself around the house, so when I was given some chalkboard labels to try out, I knew exactly what I wanted to do! Kindergarten has been great for him. He loves learning and he actually gets mad at me when I pick him up early from his after-school program. He wants to finish all of his assignments, even the "fun" ones that are more or less time fillers. I think the one things he's most excited about learning is how to read. We're big readers in our family, and he can't wait to be a part of that. Whatever I can do to support his literacy is my pleasure. Now he has some more words to read in his own bedroom! I labelled all his drawers with a picture as well as the words indicating what's inside. It makes putting away laundry a little more exciting (if that's possible). 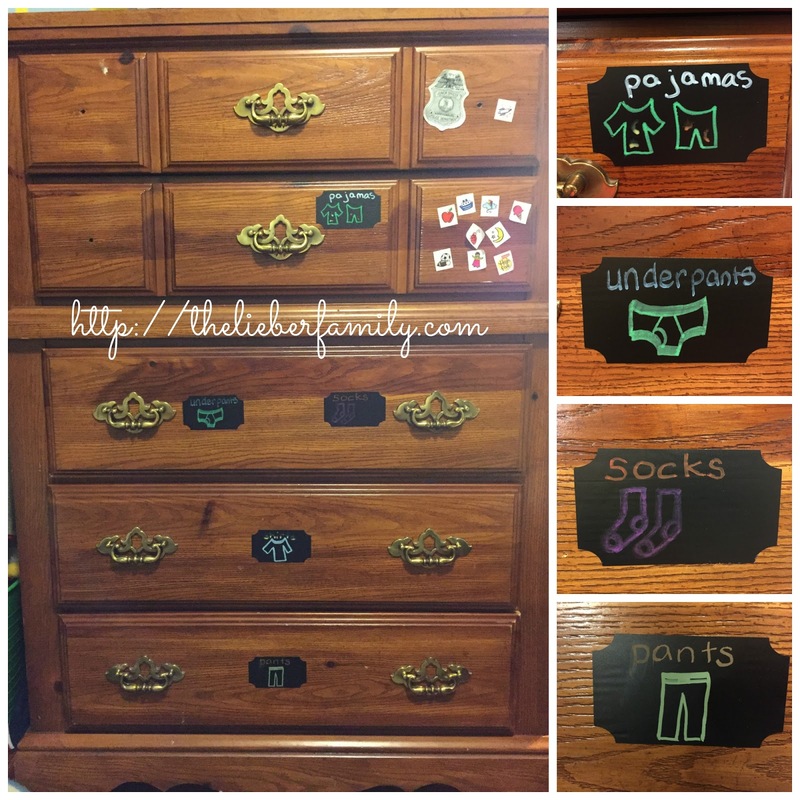 He loves it and his brother, who is a fluent reader, now wants his drawers labelled as well! Good thing I've got extras! 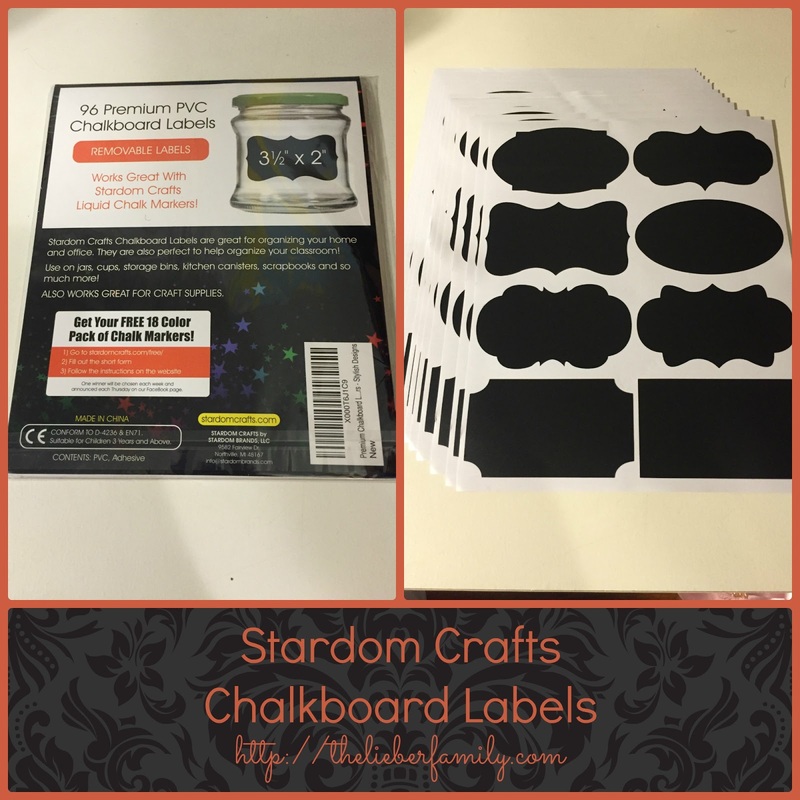 These chalk labels from Stardom Brands pair wonderfully with the chalk markers I've reviewed previously. They come in a variety of shapes to suit any labelling needs you have. I am especially excited about the fact that they are reusable! I can move them from this dresser to the next when we finally have the chance to do some heavy lifting. I can also erase them and re-write whatever I want. 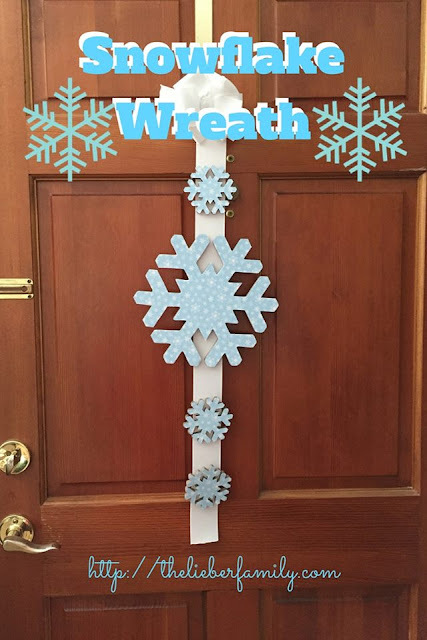 There are lots of other great uses for chalk labels! Make some soothing sugar scrub as a teacher or holiday gift. Decorate the jar you present it in. Label the spice jars or sugar/flour/salt canisters in your kitchen. Organize your office supplies into cute baskets and label them. Make party favors in mason jars with your own event logo on them. Create new candles out of old ones and re-label the jars. If you are in the mood for some organizing and labelling in, you should check out these labels (and the fun markers too) on Amazon and then come over to my house. I've got some stuff you can organize for me before you lose your steam!